We are open Monday - Friday from 7:00 am - 6:00 pm. However, not all services are offered at all times. Please click the service below for service days and times. Mammograms are only available at our Durham and Fayeteville locations. Your time is important – to you, your family and us. That’s why screening mammograms performed at Durham Diagnostic Imaging generally take less than 30 minutes – less time than a typical doctor’s office visit. 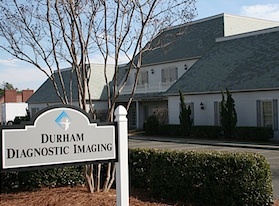 Durham Diagnostic Imaging Independence Park is located in North Durham and minutes away from the heart of the city. We have been providing radiology services in the Bull City for over four decades. We are conveniently located to I-85 and the Durham freeway, which makes easy access from Wake, Orange, Alamance, Granville and surrounding counties. We are a full modality center, which provides MRI, CT, Ultrasound, Bone Density, Fluoroscopy and Women’s imaging. 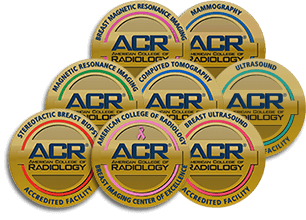 Our Women’s Imaging services include 3D screening mammography, Diagnostic mammography, Breast MRI, and Breast Biopsy. Durham Diagnostic Imaging- Independence Park offers a state of the art 64 slice CT scanner. 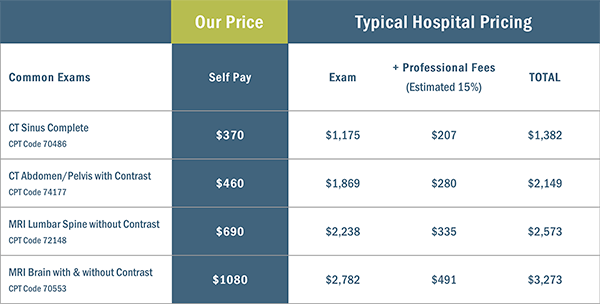 Affordable pricing without sacrificing quality or services. We are proud to be the community-imaging center of choice! General Surgery, Morehouse School Medicine, Atlanta GA.
Orthopedic Surgery, SIU School of Medicine, Springfield, IL. SUNY Upstate Medical Center, Syracuse, NY. Abdominal Imaging, UNC School of Medicine, Chapel Hill, NC. UCLA/Drew School of Medicine, Los Angeles, CA. Internal Medicine, Tulane Medical Center, New Orleans, LA. Diagnostic Radiology, University of South Alabama, Mobile, AL. Neuroradiology, Emory University, Atlanta, GA.
Baptist Medical Centers, Birmingham, AL. Diagnostic Radiology, Memorial University Medical Center, Savannah, GA.
University of Alabama School of Medicine, Birmingham, AL. Diagnostic Radiology, Medical College of Virginia Hospital, Richmond, VA.
MRI, Medical College of Virginia Hospitals, Richmond, VA.
Long Island College Hospital; Brooklyn; N.Y. Diagnostic Radiology, Long Island College Hospital; Brooklyn; N.Y.
Abdominal Imaging, Yale University. CT.; Musculoskeletal Imaging, Albert Einstein University; N.Y.